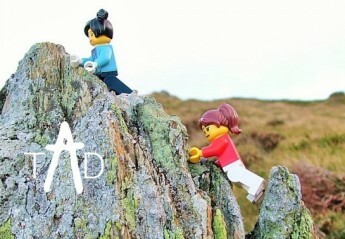 The Adventure Declaration (TAD) is really the result of my incessant need for adventure (big or small) and the amazing stories I’ve been privileged to hear from other women who also have hearts of adventure. 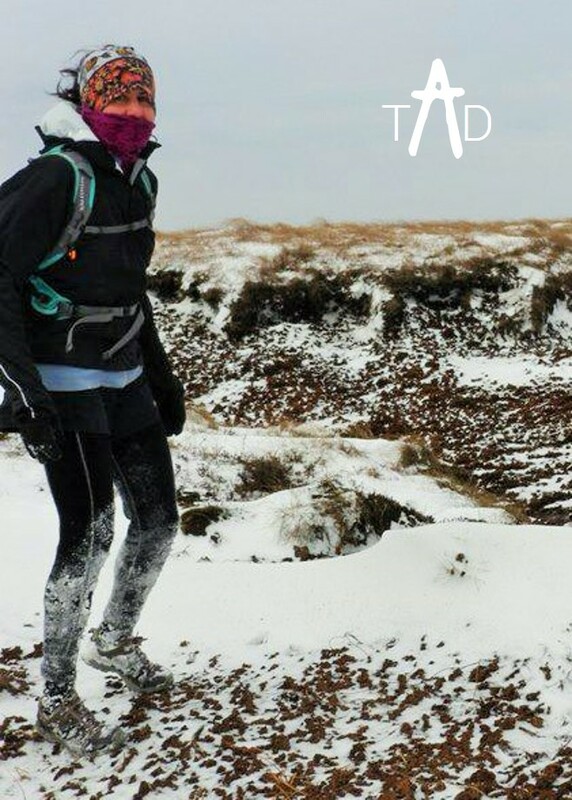 Although I love to travel, climb and mountaineer, it’s mainly through running I get my adventure hit: I’m all about the journey and the challenge, so, you see, it’s the adventure which most defines me and it’s the adventure aspect of what other women are doing which I find really inspirational. We have a common bond which means we have plenty to talk about and by sharing our stories across all types of adventures we’ll learn from and be motivated by each other too…perfect! My adventures are defined by exploration, challenge and surprise (it’ll be interesting to hear your definitions too), I like to see what I’m capable of and love that sense of fun you get from being in new places or trying new things. When I’m playing outside, it’s when I most feel like me… my act of rebellion, it strips away that feeling of needing to follow the rules at work and in society- make-up free, hair out of the way and in functional clothes- the minimal faff is a great release from the morning work routine! TAD is to recognise and celebrate that there’s more to us than people might think. Although I love that feeling of calmness, perspective and freedom after a big adventure packed weekend or holiday, I also can’t get enough of a quick adventure fix… sometimes just doing a late night walk or run on the moors is enough to get me through the week. I could blame the parents for the frequent moving as a child as a trigger for the restlessness I battle with, but if I’m completely honest I think it’s just part of who I am, which means any mini mid-week stuff is an essential part of maintaining my ongoing quest for adventure. Some might say I’m obsessed and perhaps I’d agree, especially as I’ve also started a PHD exploring whether women adventures can be constructed as heroines… more about that later! All women with hearts of adventure can be involved in The Adventure Declaration, so if you: have surprised yourself by overcoming a challenge; are happy to share a favourite adventure; have recently travelled to somewhere eye opening; are currently planning (or dreaming) of something which will really take you out of your comfort zone, please get in touch.